During an Oct. 3 hearing before the U.S. Senate Committee on Commerce, Science, and Transportation, Ronald Batory, administrator of the Federal Railroad Administration, said that while railroads are “making progress” implementing positive train control or PTC technology, the agency expects that most railroads will need to request an alternative schedule to complete testing, obtain PTC certification, meet the statutory interoperability requirements, and fully implement that technology systems on all main lines required to be governed by PTC. 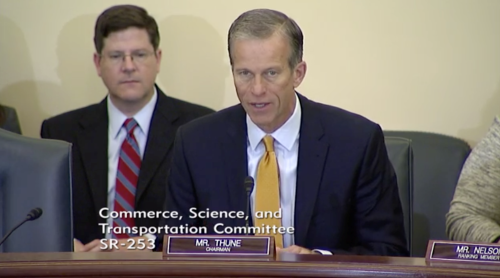 “There is a competitive yet limited number of PTC system vendors and suppliers [and] unusually weighted demand and supply has constrained the timely serving of all 41 railroads and their tenant railroads,” he explained in his written testimony. “As reliability and stability of PTC systems is still immature, railroads are experiencing significant technical issues with both PTC system hardware and software that often take considerable time to diagnose and resolve, impacting current operations,” Batory noted, adding that many railroads have only recently begun testing PTC systems for interoperability. Yet Susan Fleming, director of physical infrastructure issues for the Government Accountability Office, noted in her testimony at the hearing that most passenger railroads anticipate needing an extension, leaving substantial work for both railroads and FRA to complete before the end of 2020. “Almost three-quarters of passenger railroads – 21 of 29 – reported that they, or the railroad which owns the track on which they operate, will apply for an extension. More than half of these railroads reported planning to apply for an extension using substitute criteria, and of these, eight intend to apply for substitute criteria based on field testing,” she said.